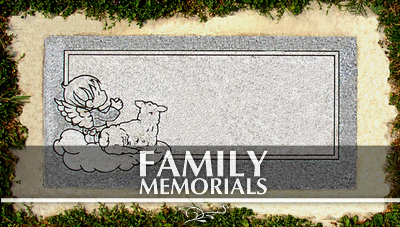 Grass Markers are generally 20 to 48 inches wide, and the top is usually set flush to the ground. The top of a Bevel Marker is slanted from back to front, and the marker normally protrudes 6”- 12” above the ground. 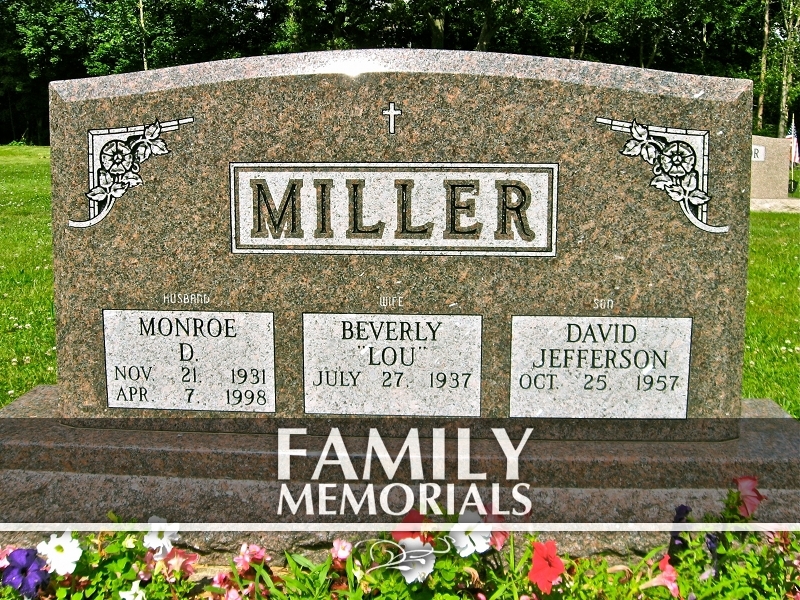 Slant Markers are larger monuments with an angled face. 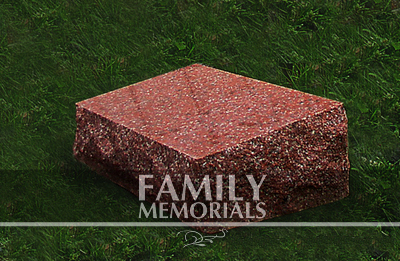 They may be set on a raised base, also of granite, or directly on a concrete foundation. 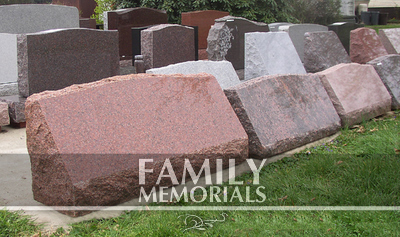 Most upright monuments have two parts- the upright top part, called the “tablet” or “die,” and the base. 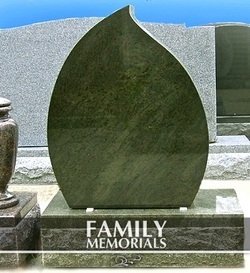 An upright monument which is carved into a specific shape, such as a heart shape or a “teardrop” shape, can be specially ordered for you. 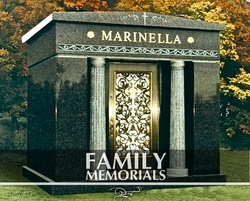 A Mausoleum is an above-ground granite enclosure, containing one or more burial crypts. 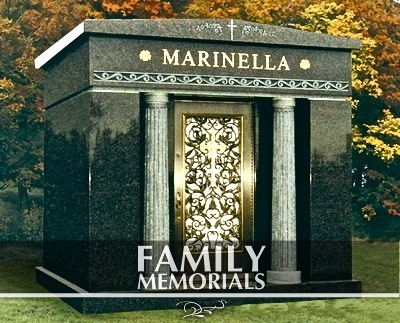 Mausoleums may be small and of simple design, or large and ornate.